This is a very slightly fleshed-out transcript of an introduction I gave to The New York Hat at the Kennington Bioscope as part of an evening dedicated to women in silent film. It’s quite old, and very short, but The New York Hat (DW Griffith, 1912) is one of my favourite films, and I’d really like to explain why. As with Shoes (Lois Weber, 1916), this film looks at the lives of women and their finances through the lens of consumerism, but the ramifications run deeper than the shop window. The first reason that I love The New York Hat is that it is an early woman’s picture and I mean that in a fully feminist sense. Today we talk a lot about the Bechdel Test, which is basically a test to ascertain whether the women in a film are fully realised characters and not just appendages to the blokes. To pass the Bechdel Test, two named female characters have to have a conversation with each other about something that isn’t a man. Sounds simple. In the field, films that pass this test are rarer than hen’s teeth. It’s really hard to map the Bechdel test back on to silent films in the first place, and so many modern films fail it that you have to assume that older ones will struggle. However, The New York Hat passes not just the letter but the spirit of the Bechdel test with flying colours, because its narrative is driven entirely by what women want, by what women understand about the world and the values that women have. We have the mother who wants the best for her daughter, the “bits of finery” that she craves, and the daughter who wants to grow up. Then we have some more women, the gossips, who create a conflict for her. We have two male characters: the father is a no-good man who doesn’t really understand or care about women, and the minister who is a very good man, but also fails to understand women and their world. The second reason that I love The New York Hat is that even though it was made in 1912, it is like a glimpse at the future, at Hollywood in the height of the 20s. If you are interested in the history of silent cinema then this film is going to give you a real kick because everyone is in it. If The New York Hat were a pop band it would be a rock supergroup. The scenario for The New York hat was written by Anita Loos, who would go on to have a fabulous Hollywood career, writing films and intertitles and also the hilarious novel Gentlemen Prefer Blondes. The New York Hat is pure Loos – it’s very sharp on the way that women interact with each other and it also contains two of her favourite hobbies: fashion and gossip. When the lead character wears her new hat, the gap between the impression she thinks she is making and the one she really is, is a bitterly dark example of Loos’s vicious humour. It’s also a very poignant moment – and those mixed emotions are part of the magic of this enduring film. 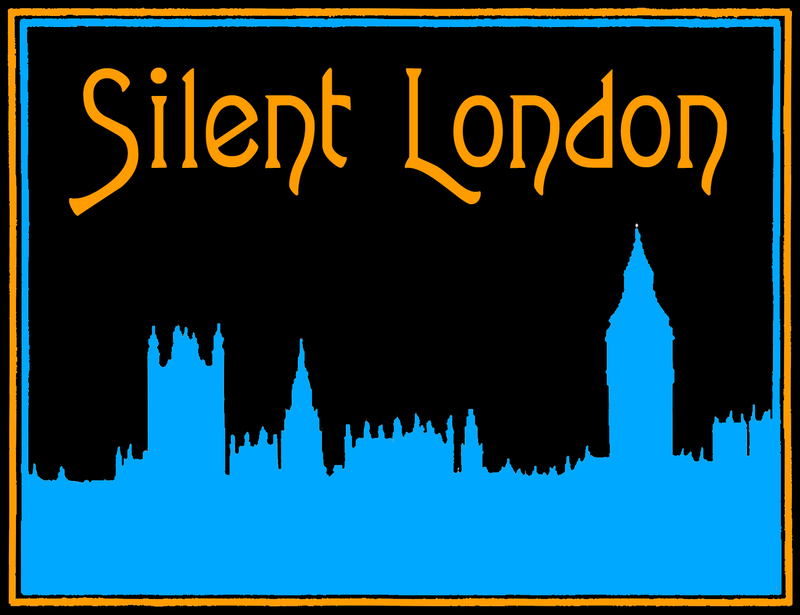 If HG Wells could fix it for you to travel back to the silent era, you surely would, right? And while no doubt it would be enlightening to talk shop in the studios and editing rooms of 1920s Hollywood, it’s arguable that the real action would be in the nightclubs and hotel suites. Take it from me, the catering would be … interesting. Many of you will know Jenny Hammerton and Nathalie Morris. Jenny Hammerton works as a film archivist, and runs the wonderful Silver Screen Suppers site on the side. She’s researching a forthcoming book of recipes from classic film stars, you see. Nathalie Morris works at the BFI as an archive curator, and also blogs about food: the Food on Film site recreates meals from movies. 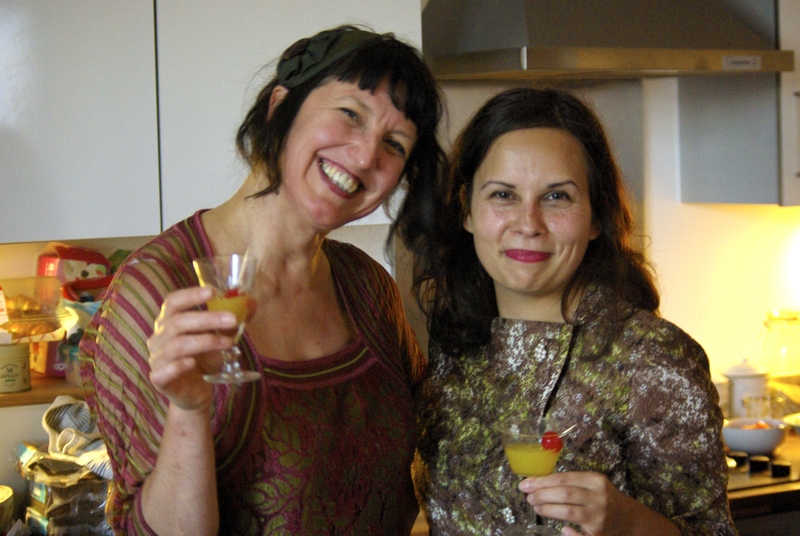 She is working with Jenny on a different book, along the same lines, but dedicated to the most important meal of the day – the cocktail hour. Such a noble pursuit deserves all our support, of course, so myself and a few other selfless souls tripped up to Nathalie’s flat on the weekend to sample some cocktails and canapés. As the evening was undertaken in the name of research, not simple fun, here is what we learned. We may remember Greta Garbo and Gloria Swanson as health freaks, but they let their hair down occasionally, culinary speaking. Garbo layered bacon over healthsome cottage cheese and rye bread to create a rather unwieldy canapé. Swanson deviated from the ways of brown rice for, what else, tempting bites topped with caviar. Edith Roberts‘ sweetcorn fritters require a LOT of lard for deep-frying. Fear not, though, as our group couldn’t quite choose between the lighter veggie versions and the lardy originals in the final analysis. Solid and unexciting to look at, they may have been, but Charles ‘Buddy’ Rogers’ potato and nut croquettes were seriously savoury – with a rich seam of nuts down the centre. Unexpectedly toothsome. Zasu Pitts is an idiosyncratic one. We all loved her omelette with hot spanish sauce. But the Greed star cheated us of any actual spice in that sauce – hot in name only. And there was baking powder – yes, baking powder – in the omelette. The parties thrown by Marion Davies may have gone down in Hollywood legend, but her cheese patties were unlikely to get anyone hot under the collar – tasty yes, but rather chunky and bland for a canapé. Perhaps they were just there to soak up the booze? It's Lillian. 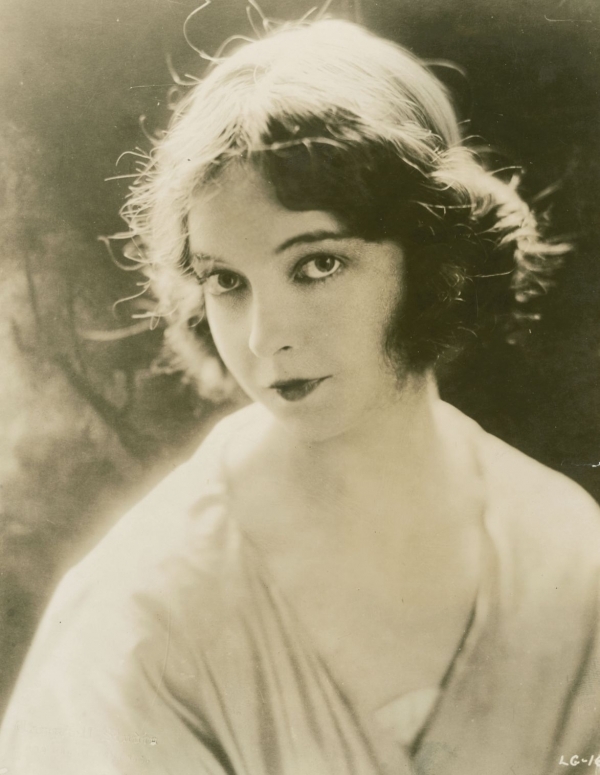 Miss Gish if you're nasty. This is a guest post for Silent London to mark International Women’s Day by Kelly Robinson, curator of the Birds Eye View Sound and Silents programme. Birds Eye View’s Mary Pickford Revived event is part of WOW – Women of the World Festival 2012 at the Southbank Centre. Amarilly of Clothes-Line Alley with The New York Hat and Female of the Species screen at the Southbank Centre on 9 March at 8pm (find out more). Sparrows screens at Hackney Picturehouse on 11 March at 4pm (find out more). In any serious study of early cinema, prominent men such as the “Father of Film” DW Griffith and silent clown Charles Chaplin are always first to feature. Happily though, recent literature has sought to readdress this critical gender imbalance by also highlighting the contribution of similarly extraordinary pioneers – including Mary Pickford. 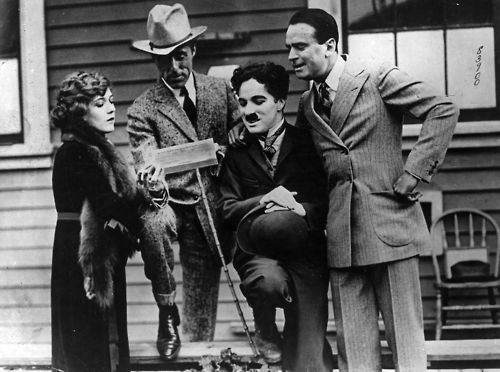 Pickford was certainly a creative force on a par with Chaplin, and the two had a lot in common. Like Chaplin, she also performed in the theatre from a young age to support her family. At 13, a precocious Pickford harangued theatre impresario David Belasco to hire her, apparently telling him: “I’m the father of my family.” Like many other theatre actors, she was initially disdainful of cinema but was drawn in by the financial rewards. She enquired at the bustling Biograph studios for work, and it was here that she met Griffith, the director of two of the beautiful shorts that feature as part of the Southbank programme. The films in this programme span a period of just seven years but this was a time of rapid change. Indeed, in the months that separate Griffith’s The New York Hat and Female of the Species we can see striking developments in film form and style. The volume of films Biograph churned out was phenomenal and between 1909 and 1910 Pickford appeared in 80 films for Griffith. 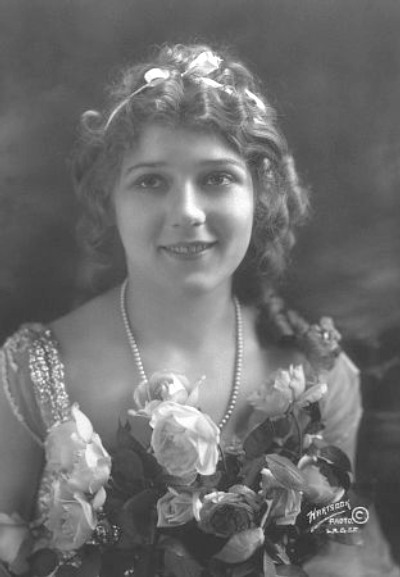 Pickford said: “I got what no one else wanted and I took anything that came my way because I decided that if I could get into as many pictures as possible I’d become known, and there would be a demand for my work.” Indeed she quickly became a favourite with audiences, although they didn’t yet know her name; she was referred to as the ‘”girl with the curls”. Once she had established the extent of her fame, she asked for a rise from Griffith and her name on the screen. 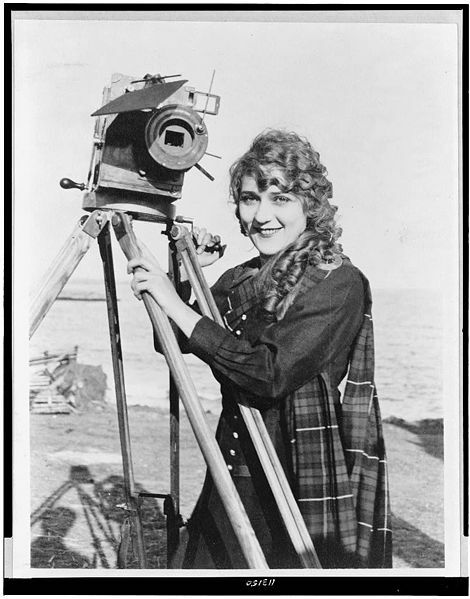 Mary Pickford is one of the most fascinating figures in Hollywood history. She was “America’s sweetheart” with long blonde curls and a fairytale marriage to handsome Douglas Fairbanks. But she was also the co-founder of United Artists and producer, star and director in all but name on some of her most successful pictures. More than just a pretty face indeed. Pickford knew exactly how the movies worked, and having grown up in terrible poverty as a child in Toronto, she knew what life was all about too, which you can see clearly in her finest screen performances. Bouncing off Pickford’s on-screen radiance are three contemporary female artists. Anna Meredith is an in-demand composer/performer of acoustic and electronia, Welsh-born Roshi absorbs Iranian influences in her experimental folk. And multi-instrumentalist Tanya Auclair merges British, Rwandan and Canadian roots. The New York Hat and The Female of the Species are both short films directed by DW Griffith, featuring Pickford in wildly different roles; the first of them was written by a young Anita Loos. Another legendary Hollywood screenwriter, Frances Marion, wrote the scenario for Amarilly, which is closer to feature-length and features Pickford as a young woman from a poor family who meets an upper-class sculptor but falls foul of his snobbish and cruel aunt. The Mary Pickford Revived event is part of the Women of the World Festival and takes place at 8pm on 9 March 2012 at the Purcell Room in the Southbank Centre. Tickets cost £15 and are available here. Also as part of the Sound and Silents programme, the magnificently gothic and strangely comic Sparrows (1926), one of Pickford’s greatest films, will be shown at Hackney Picturehouse on 11 March, with a live score by Aristazabal Hawkes from the Guillemots. You may remember that the score was commissioned by BEV last year and was due to be performed at the BFI Southbank, but the performance was cancelled. Sounds like a must-see to me. You can buy tickets here. To find out more about the Birds Eye View Film Festival, which returns next year, visit the website. Paul Merton is probably the most high-profile silent film fan in the country, with a book, a stage show and a series of documentaries on comedy under his belt. And now he’s back, on BBC 2 no less, with a three-part series of programmes about the early days of the American films industry – Paul Merton’s Birth of Hollywood. Merton clearly has a great passion for the subject, and I couldn’t be more pleased to see documentaries on early cinema airing on one of the major channels. What would be great, of course, would be a screening of a silent film or two after the programme, but it looks like that is not to be. Better luck next time, chums. Merton appeared on Danny Baker’s radio show on Saturday to promote the show and their 10-minute chat is well worth a listen on iPlayer, if only for the infectious enthusiasm the pair have for the subject. Follow the link here, and fast-forward to an hour and five minutes into the programme. Paul Merton’s Birth of Hollywood begins on BBC 2 at 9.30pm on Friday 27 May 2011. Please note, this film will now be projected from high quality video on Tue 15 March as the specially written score has been locked at that speed. For customers who wish to see the film projected from the 35mm print with live improvised piano accompaniment, we have arranged a special screening on Sun 20 March 13:00 NFT2. Ticket-holders should contact the box office via phone or in person for an exchange or refund. We apologise for any inconvenience. So, for the 35mm fans among you or perhaps those who just couldn’t get tickets for the first (sold-out) screening in NFT3, this is a godsend. It will definitely be a shame to miss out on Hawkes’s score, but it’s great to get the chance to see the film on film, as it were. Sparrows (1926) is set in a creepy “baby farm” in the middle of a swamp. The collection of orphans who live there are terrorised by the owner, Mr Grimes (Gustav von Seyffertitz). 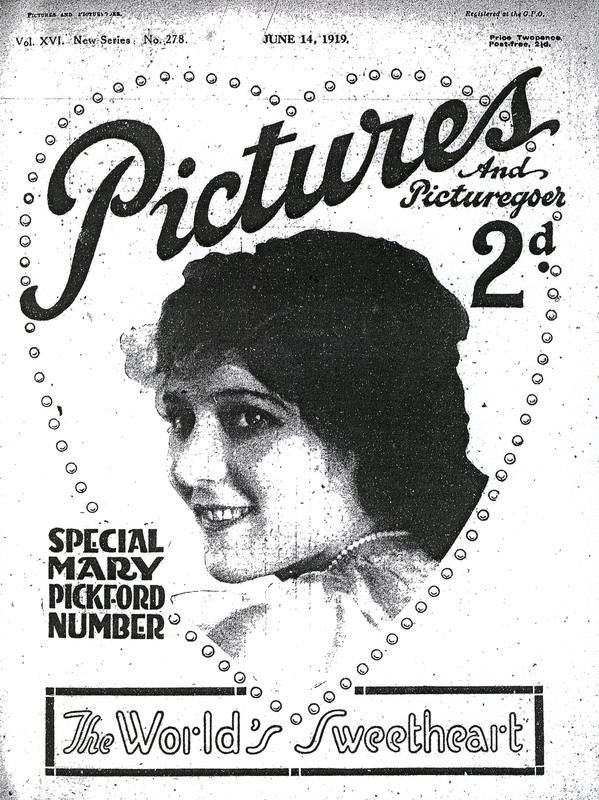 Their only defence against this brute is the oldest among them, plucky Molly (Mary Pickford). But can she lead the youngsters to safety, in such perilous circumstances? Start growing your nails now, because you’ll be chewing on them for sure. Is that a bit gross? Sorry. Sparrows screens at the BFI Southbank on 20 March 2011 at 1pm in NFT2. Tickets are £9.50 or less for members and concessions. They’re available here. There will be live improvised piano accompaniment at this screening.